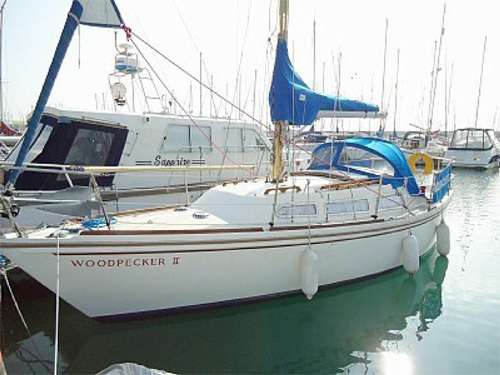 Three of us were to make an early autumn passage between Brighton and St Katharine Docks in London, in a 1973 Russell Marine-built Jaguar 27, Woodpecker II, on delivery and therefore under power. She was required in London on 13 September and there was a forecast lull in the weather before the remnants of a tropical storm swept the country. To make things tighter still, St Kat’s was hosting a traditional boat rally so the lock was officially closed, but we’d been given a precise time at which we could enter. By the usual expedient of working backwards from the destination, using paper charts and Admiralty tidal atlases, and adding two hours for Murphy and his law, we came up with a departure time from Brighton of 2100. I checked the weather just before leaving on www.weatheronline.co.uk and were given a forecast of SW F4-5, dropping to F3-4 and then lower still over the weekend. We tested everything – the engine, gears, rudder, lights, GPS, radio and more – and then having run out of excuses told the Coastguard and the marina we were off. We hand-steered through a choppy quartering sea off Beachy Head, before our first mishap befell us – the steering compass light failed. However, it being the 21st Century, we were able to find an app on a smartphone that gave us an illuminated compass. We used that to set our heading, then maintained it by steering by the wind. South of Beachy Head we had to dodge three fishing boats and at 0300 set course for one mile off Dungeness. The wind dropped and the visibility closed in, as forecast. As dawn broke we could hear Dover Cosatguard talking to shipping in the Channel. I came further to port to put the bulk of Dungeness between us and any shipping using the inshore zone. We sneaked round the end of Dungeness and up into its calmer lee, before resuming passage. All was now well with the world – we were motoring along in a calm sea, the AutoHelm hardly needing to move, with good visibility and a fresh cup of coffee in hand. It was one of those intervals that on the stage would deserve a pregnant pause – you know something is about to happen. The occurrence in question, off Folkestone, was an uncontrollable surging of the engine revs plus the inability to maintain full power. We suspected our heavy rolling off Dungeness had disturbed sediment in the tank but I decided we would put into Dover so we could work more easily alongside. With our low power, we couldn’t effectively stem the tide near the west entrance. It was very choppy due to the backwash from the breakwater, so we asked for a tow in. The harbour obliged, at a cost to the owner. At this stage I’d been going for 24 hours without any sleep, so a bit of recuperation was called for. Later, a local engineering company determined our fuel tank pick-up line in fact, which entered the fuel tank at the top, ended well up from the bottom of the tank! We had three gallons of fuel at the bottom of tank that we simply couldn’t reach! We filled up and grovelled to St Kat’s over the phone. A new arrival time was stipulated and we were on our way again. As we passed South Foreland, the moon came out and we had a pleasant run north with light winds and the tide sweeping us along, exactly as per the forecast. Approaching the Princes Channel in the mouth of the Thames estuary, we aimed for the south side but discovered the light on the Princes South buoy was out. This buoy marks the entrance to the channel. I was reluctant to try finding an unlit buoy with the GPS, so we made for the Princes North buoy instead, and then made our way up the south side where we were meant to be! It was a daylight run up the Thames, carrying the flood as far as Tower bridge. We arrived off the lock gates at St Kat’s exactly at our planned ETA of 1135 and were very glad to tie up alongside so we could repair to a local hostelry. Alan Glover has been sailing since he was nine. 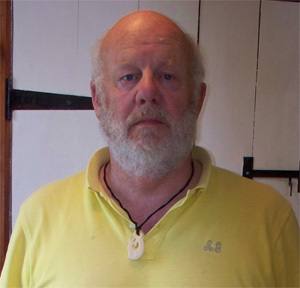 He is now 64, based in Somerset and working as a yacht instructor and delivery skipper. He was a Lt Cmdr in the Royal Navy, a research fellow at Cambridge University and a commercial airline captain. With wife Denise, and daughters Chloe, 15, and Sofia, 12, he has cruised the eastern Med extensively on a Sillhoutte III, Ondine, and a Fairey Atalanta, Titania. He delivered his current boat, a Lagoon 410S2, called Manaia Moana, from Turkey to the Caribbean, where she is being used for charter, over the winter.